Secure 24hr CCTV and manned storage premises for all types of goods. 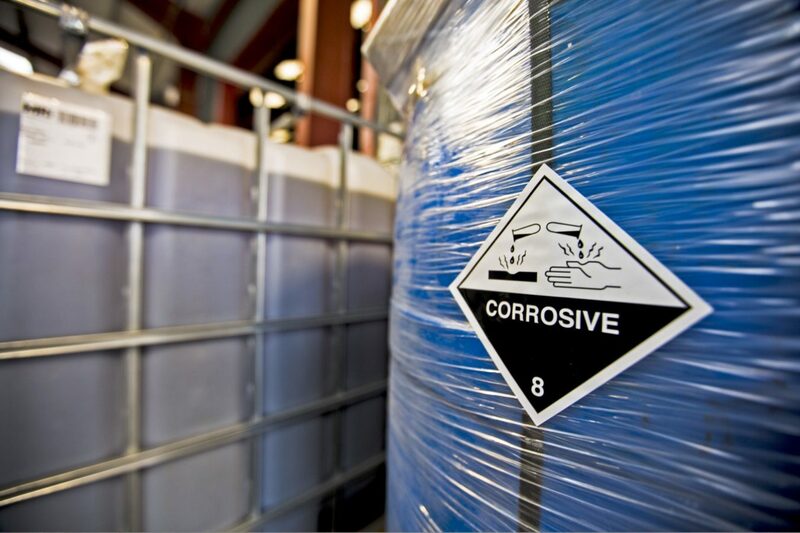 These include liquid bulk, IBC’s, tanks, kegs, palletised, bulk bag, hazardous, non-hazardous and non-palletised products. Currently CSH Transport operates 6000 sq. m (>65,000 sq. ft) of covered storage over two sites located in Blackburn, Lancashire. A further 2500 sq. m (27, 000 sq. ft) of indoor warehousing will be constructed and available mid-2019. The new storage facility is being built very much with our clients needs in mind, especially those looking for the enhanced safety and security required in dealing with chemical products. The 2019 warehouse extension is also taking into account its environmental impact. Water capture tanks, water recycling, solar panels and potentially wind turbines will be used to power the warehousing and fork-lift fleet. We are aiming to create a storage facility for today with minimal environmental impact in the long term. All warehousing is secure with 24-hour CCTV. Facilities are manned and able to handle most types of loading, unloading and shunting. Storage operational hours are currently 2am – 10pm but can be expanded to 24hrs if required. External storage with CCTV is also available – a “picking” or drumming service can be provided if required. We have previously worked extensively with the brewing industry and are familiar with handling drums and kegs for both the chemical and F&B industries. 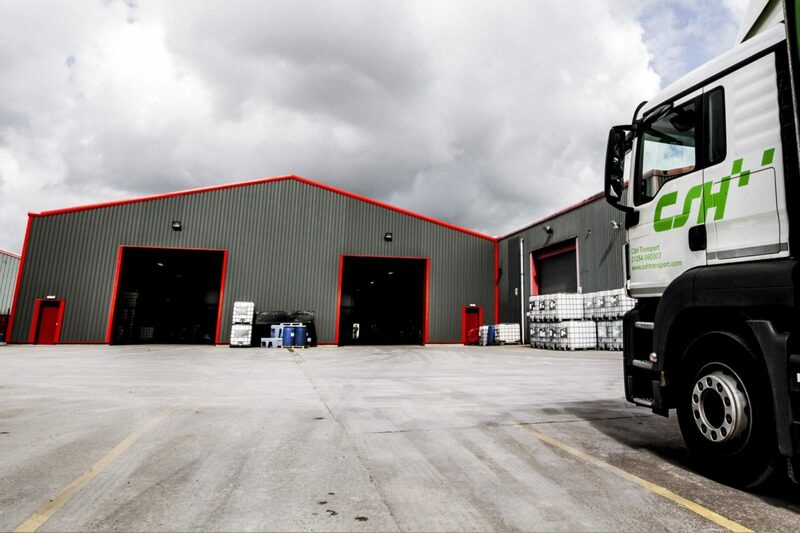 CSH’s warehousing facilities are centrally located in the UK. We are thirty minutes from Manchester and easily accessed via the major M65/M6/M61/M62 road networks. During the Q2 of 2019 CSH’s new online client portal Warehouse Management System (WMS) will be available to clients. Offering real time online stock inventory, client history and booking service we hope that the increased warehouse capacity, digital WMS and racking systems will prove a success with our existing and future customers. Please contact our Storage department for further details or call Stuart Haworth on +44 (0) 1254 660007 to discuss. We have a broad range of loading and unloading facilities. These include ramps, containers and the ability to handle nonuniform goods. CSH has the facility to handle paper reels with clamp attachments along with barrels e.g. barrels used in the brewing industry. Our warehouse team includes staff trained in aspects of ISO 9001 and ISO 14001. This ensures our warehouse facilities and training equal the high standards clients expect. Training and investment in personnel and capital infrastructure, along with our passion for providing economically sound and reliable transport solutions tailored to clients has helped CSH grow progressively and sustainably since 1979. As part of our continual development. CSH has secured the coveted ISO 14001 Environmental Management and ISO 9001 Quality Management System certification. These accreditations exceed industry standards and are supplemented by regular internal and external audits.